“Ever wonder why women don’t report sexual abuse? Look no further than the hideous and hateful face of Lindsey Graham who offered nothing but anger and absolute disdain to Dr. Christine Blasey Ford following her courageous, and very credible, testimony. 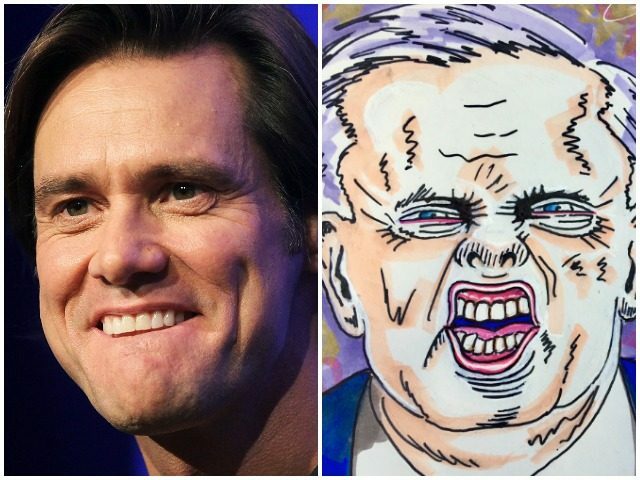 Talk about ‘a disgrace,'” Jim Carrey tweeted. “This is the most unethical sham since I’ve been in politics. And if you really wanted to know the truth, you sure as hell wouldn’t have done what you’ve done to this guy,” Graham also said, and even apologized to Ford for being used by Democratic lawmakers. Carrey’s use of Twitter to post his political drawings has become commonplace over the last two years. Carrey also tweeted a drawing of Judge Brett Kavanaugh on top of a woman, a clear reference to allegations made by Christine Blasey Ford.